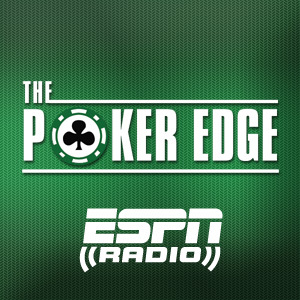 ESPN.com's Andrew Feldman brings you the latest news from the poker world and interviews the game's best players. Andrew Feldman and Bluff Magazine's Lance Bradley share their thoughts on Phil Hellmuth's 14th bracelet victory, the contenders for player of year, Week 2 of the WSOP and more. Andrew Feldman and Bluff Magazine's Lance Bradley talk with WSOP Colossus third-place finisher Ray Henson about his time at the table and what's next for the WSOP. Andrew Feldman and Lance Bradley recap the 2014 World Series of Poker and talk with runner-up Felix Stephensen and winner Martin Jacobson. Andrew Feldman hears from all of the players at the final table on Day 1. Plus, a preview of what is expected for the final 3. Andrew Feldman and Lance Bradley recap the Hall of Fame ceremony and speak to inductees Daniel Negreanu and Jack McClelland. Plus, a few thoughts from Phil Hellmuth. Andrew Feldman chats with Billy Pappas about being a November Niner, his journey through the World Series and his life outside of poker. Andrew Feldman, Lance Bradley and Tim Fiorvanti wrap up main event coverage from Las Vegas and speak to the November Nine and tournament director Jack Effel. Andrew Feldman & Lance Bradley highlight Day 7 and speak with four of the final 27 competitors: chip leader Martin Jacobson, Bryan Devonshire, Leif Force and Billy Pappas. With 79 players to go after Day 5, Andrew Feldman and Lance Bradley talk to chip leader Mark Newhouse, Maria Ho, Brian Devonshire and David Tuthill. The money bubble burst on day 4 and the guys talk to chip leader Matthew Haugen and challengers Kyle Keranen, Brian Hastings, Brian Townsend, Maria Ho and Jeff Platt. Andrew Feldman and Lance Bradley recap the Day 3 action and talk to NBA star Paul Pierce and contenders Danny Yousefzadeh, Faraz Jaka, Mark Newhouse and Jeff Madsen. Andrew Feldman and Lance Bradley talk to Phil Ivey and Greg Mueller after Day 2C of the 2014 WSOP main event. Andrew Feldman and Lance Bradley recap the action and talk to Chris Moneymaker, Antonio Esfandiari and Mukul Pahuja after Day 2AB. Andrew Feldman and Lance Bradley discuss the increased main event turnout and talk with Phil Hellmuth, Daniel Negreanu and Bernard Lee about their Day 1C efforts. Andrew Feldman and Lance Bradley speak to Erik Seidel, Vanessa Selbst, actor Kevin Pollak and NASCAR's Jason White at the end of Day 1B.